I wanted to do a modern Oculus room that looked similar to the hallway entrance to some of the high rise apartments they have in Norwalk, CT. 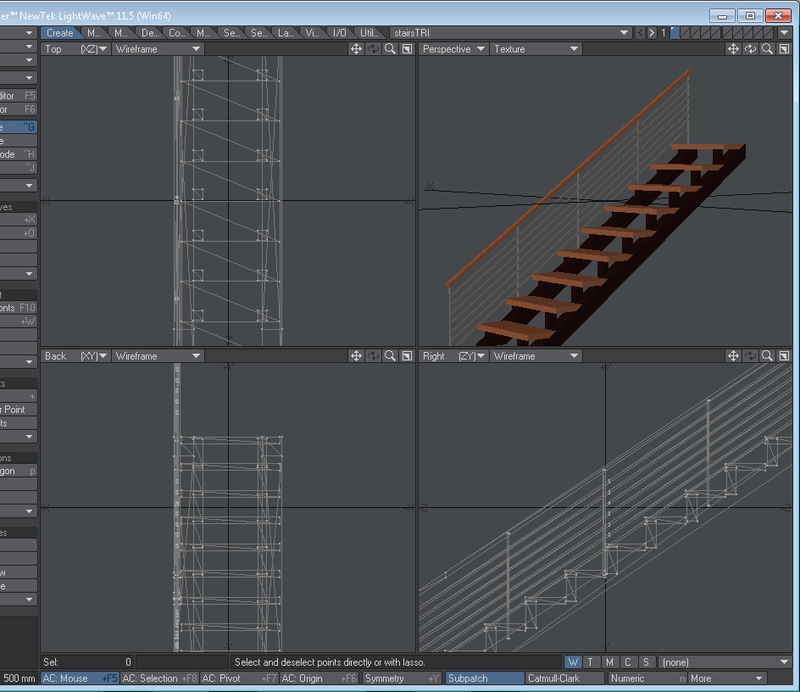 I designed the staircase in Lightwave then used an Export ASE file format so I could get it into UDK. Only one problem- I dont know how to export the UV maps. I heard I'm supposed to use _mat matching the file-name that I export it to. 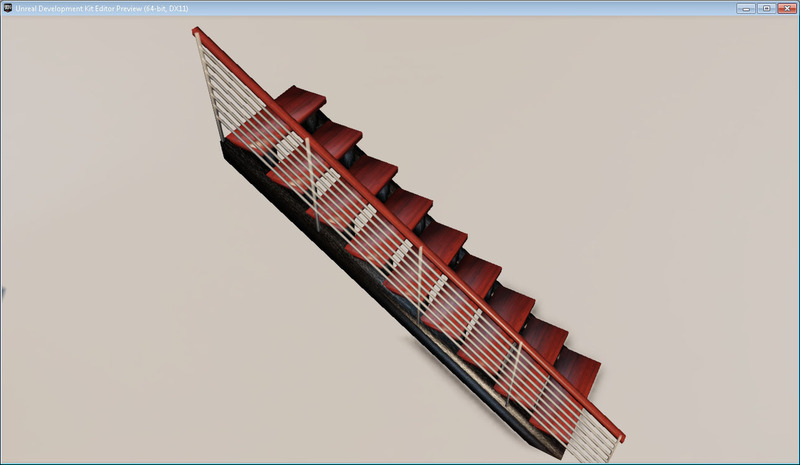 I got the collision working by adding block volumes around the UDK environment, So you can go up the stairs and also not go through the railing. I'm just wondering if the size ratio justifies. UV's can be quiet the pain in UDK. You probably want two sets, one for the lightmap (which is UDK's global illumination system) and one for the material texture. You have to neatly unwrap all the geometry you import into UDK, especially for the lightmap since it has to be normalized and can't have any overlaps/inverted faces. I'm not familiar with lightwave, so I can't give you specific help on how to do a neat UV-unwrap or how the UV export works with the .ase filetype (I use fbx). Again, after re-reading your post, this might not be the info you are looking for but I hope it still helps in some way. Oh, it does. I'm a n00b at UDK anyways. 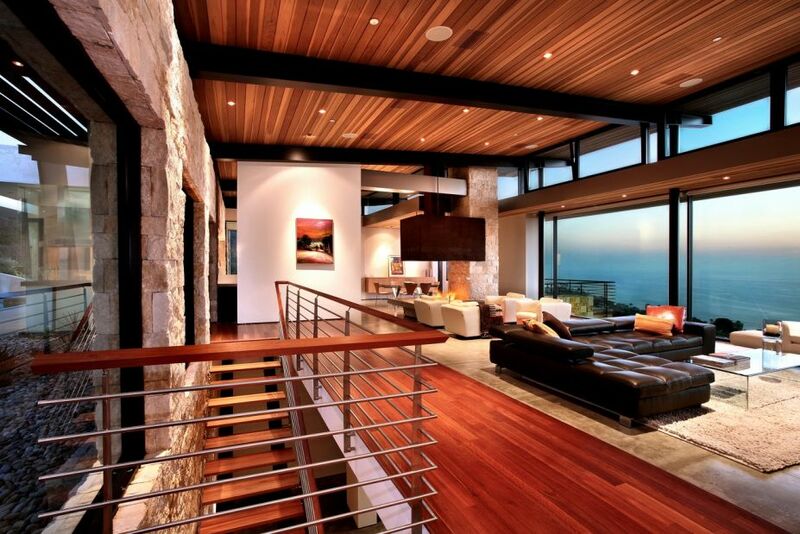 Like making things you can walk through. I'm in no means a programmer- but I do know simple scripting to get around. I appreciate you giving me the directions I need to make UV maps in unreal. Now I just gotta figure out lightwave - so it works in UDK, the other half of the battle. this project sounds exciting. my experience is that the unreal engine has the best overall fidelity inside the development kit. i've been an unreal engine fan for years, but i'm stoked that is also seems to have such a crisp feeling with vr. 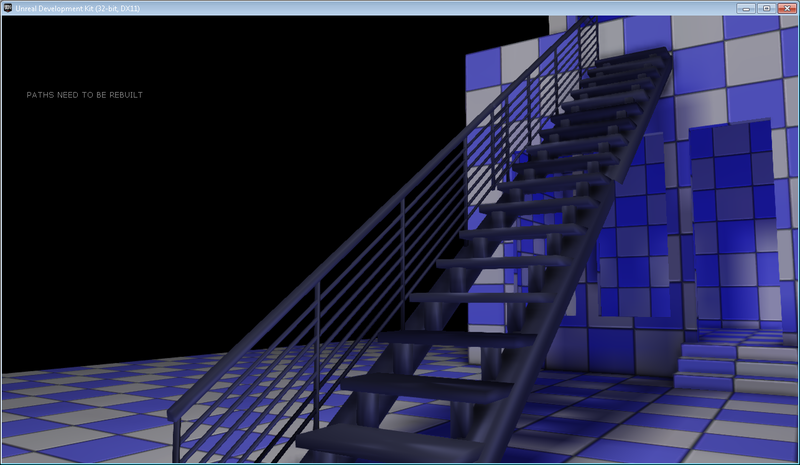 Finally UV mapped some stairs- however some of the Railing polygon mesh is going through the metal part- its probably because its composed of multiple meshes. Also UV maps are overlapping- multiple UV maps overlay- I think for the future I'm going to model things on a component level. But So far- So good!